What a Show - An Award Winning NAMM! In our biggest event of the year we were presented with the 2019 Believe in Music Award in recognition of our dedication to the Music Industry and encouraging music making at Winter NAMM 2019. Rob said: "The NAMM show is an annual highlight for the company and widely respected. Being honoured by the organisation is incredibly humbling. 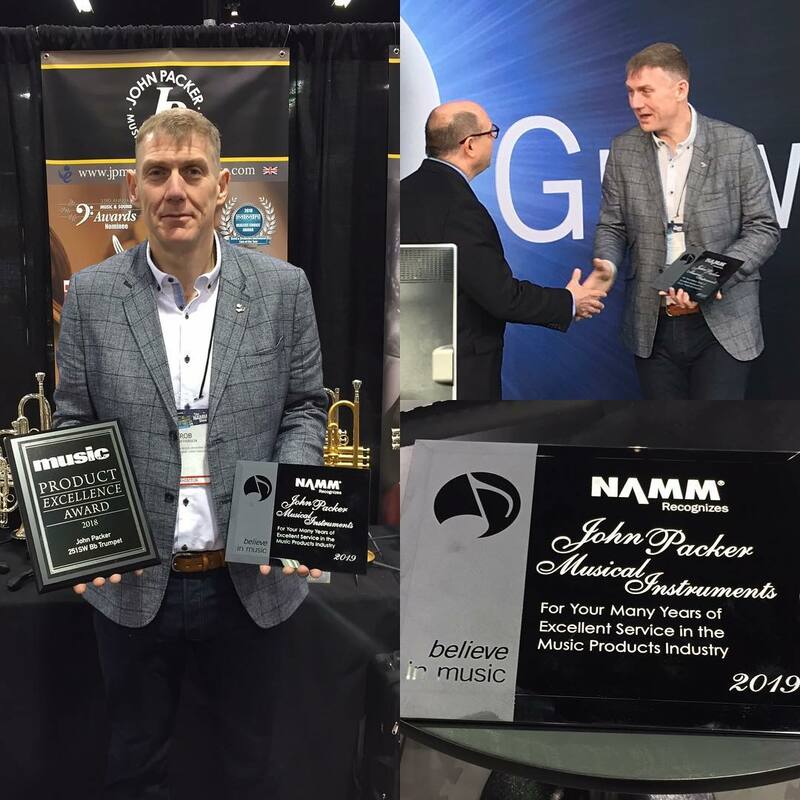 At John Packer we're driven to create a market for our brand and establish a successful global dealer network so we can deliver our instruments in all four corners. Being recognised for our efforts is testament to the hard-work and dedication of our team."